You’ve been doing the same ‘80s-themed party every year for as long as anyone can remember. Even your friends have started to tease you, telling you that you have to choose a new decade. Well, you know what, we think it’s time to surprise them at your yearly shindig by doing just that. We know, we know, it’ll be hard to ditch the side ponytail for a, dare we say, groovier style, but it’s time to swap last year’s mixtapes for some classic tunes on the record player. But trust us, the ‘70s have some great things going for them, too, things on par with your beloved off-the-shoulder sweatshirts, scrunchies, and pastel leotards. 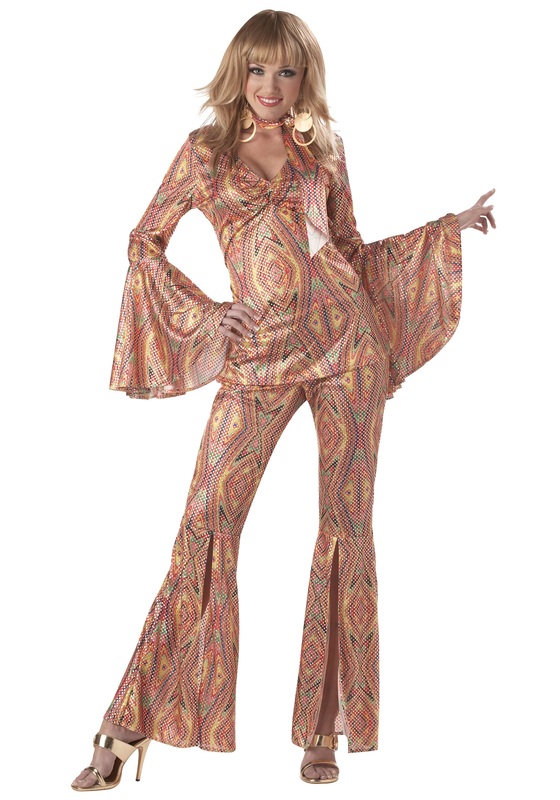 Once your friends get over their shock at going even further back in time than they were expecting, this Women’s 1970s Disco Costume will be a surefire hit. With bold patterns and flares that only the ‘70s could make popular, this costume is ideal to bring back the best aspects of the biggest party decade this side of the Roaring ‘20s. Now the only thing you have to do is learn some disco moves to fully complete your look. But we’re sure you’ll be fierce once you re-watch a couple of old Travolta movies and get yourself into some high platform shoes. Once you take on this look and wholly embrace the disco scene, you’re friends will be begging you to throw another ‘70s party...and thus a new tradition is born. You’re welcome.